Roland Denholm is a Sales Engineer with ifm who has vast experience working with the food and beverage manufacturing industry and in managing automation and contractor accounts. He explains how the company’s approach to a customer’s business is entirely customer-centric – “It is about them, not about what we do.” Roland enjoys working with customers and getting to understand their business in order to help meet their requirements. 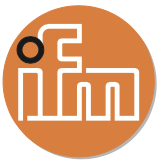 He is proud of the unique rapport that is built between ifm employees and their customers, explaining that it truly epitomises the company’s slogan to be ‘Close To You’.